(1) Light, thin-easy to carry, move and process. board gets wet, air-drying to move the water will restore all the properties of the board. 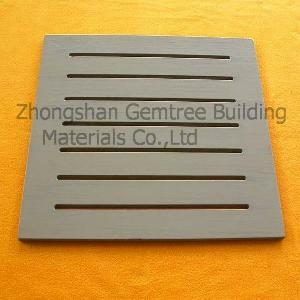 (3)Flexibility-GemtreeBoard has flexibility similar to plywood. (4)LAMINATION-Due to the very well constructed matrix of the mineral material, GemtreeBoard is very well suited for laminating to most other materials. (7)Resistant to climate conditions and moisture. (8)Rot proof, Termite Resistance and Fungus Resistance. (11)Easy to work and fix. (12)Safe to work with, containing no hazardous materials and 100% asbestos free. (13)Smooth surface for ease of finishing.